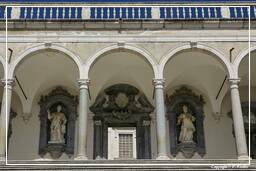 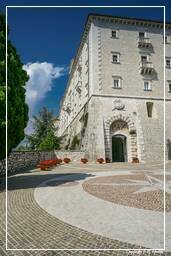 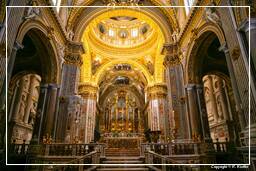 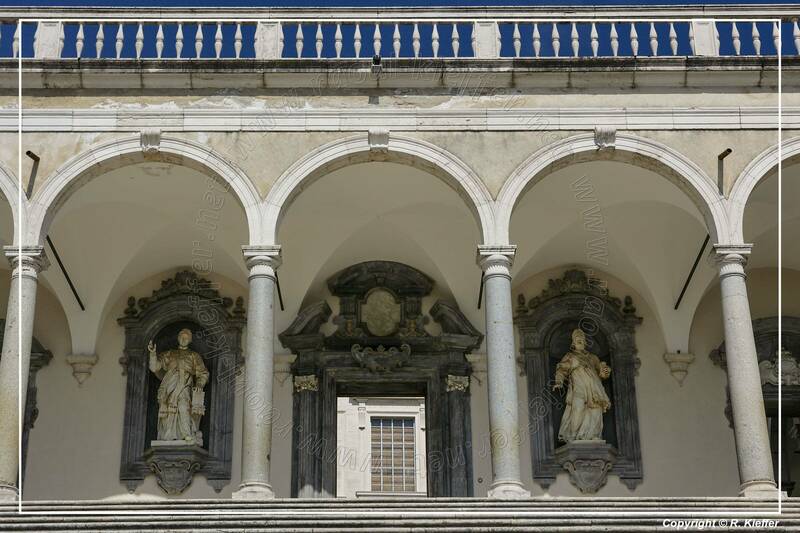 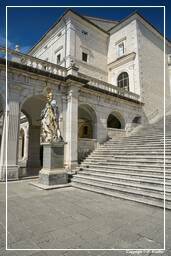 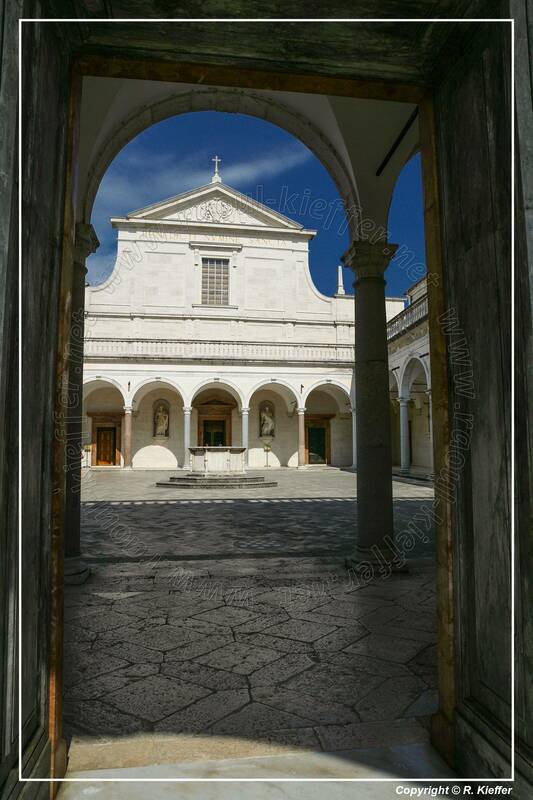 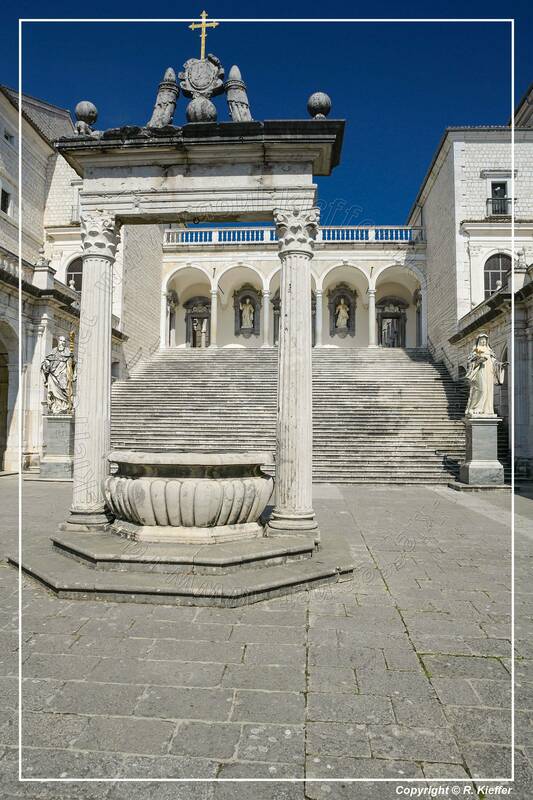 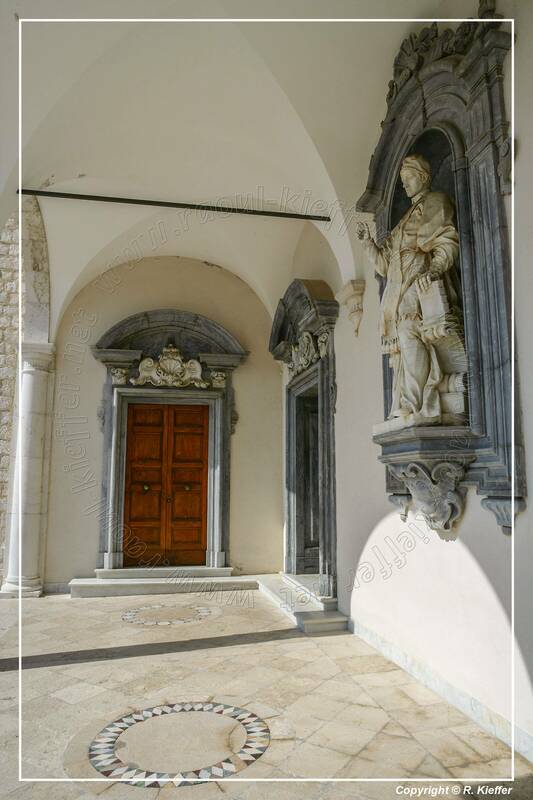 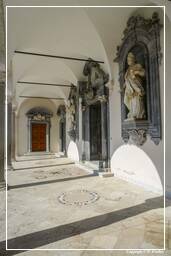 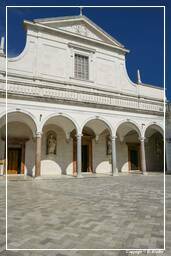 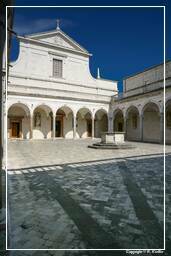 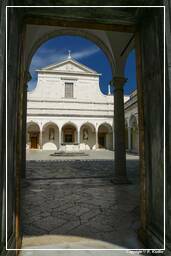 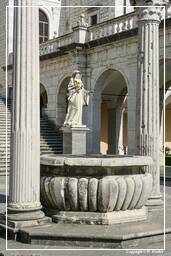 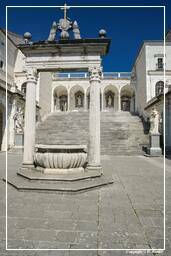 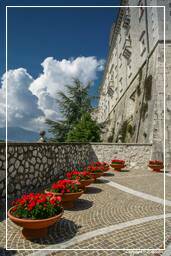 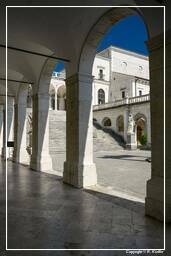 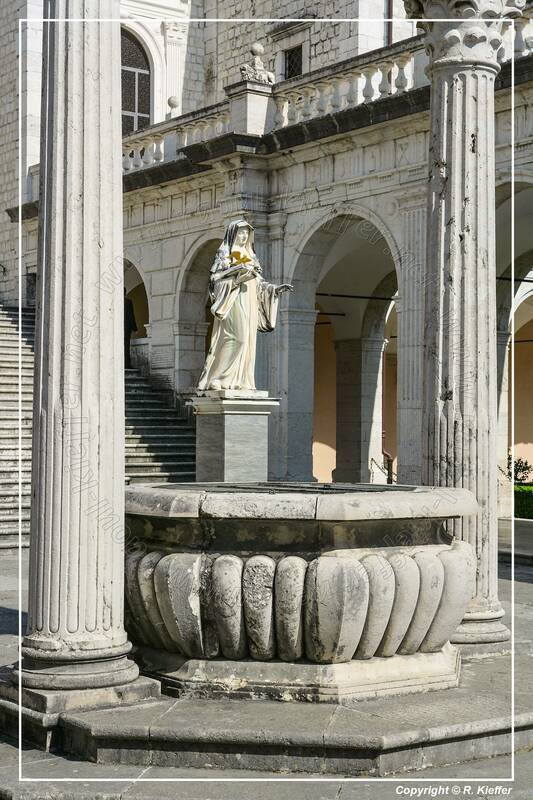 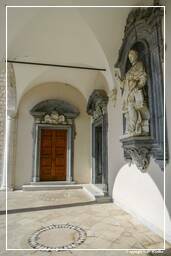 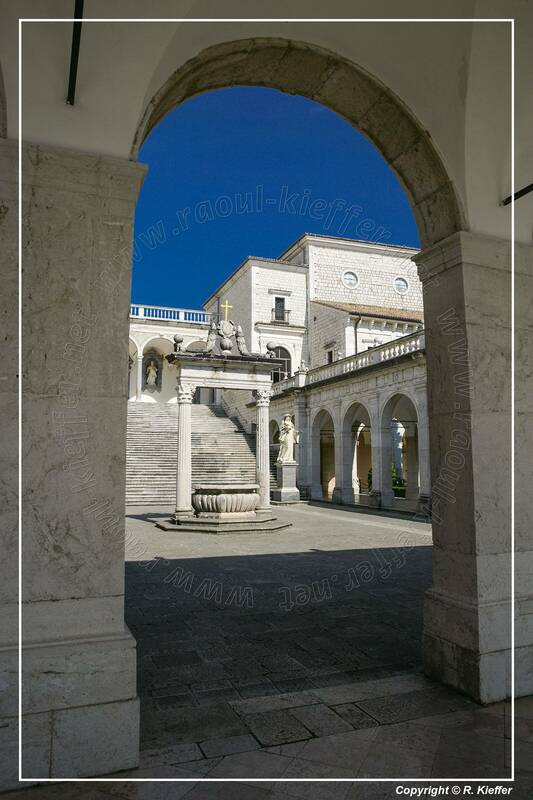 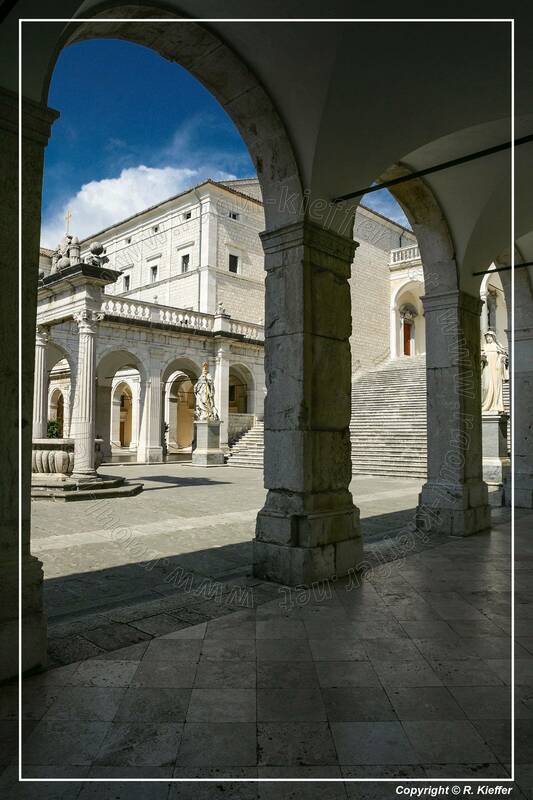 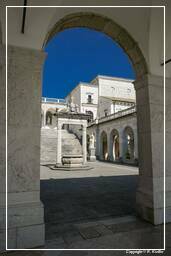 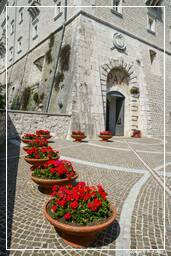 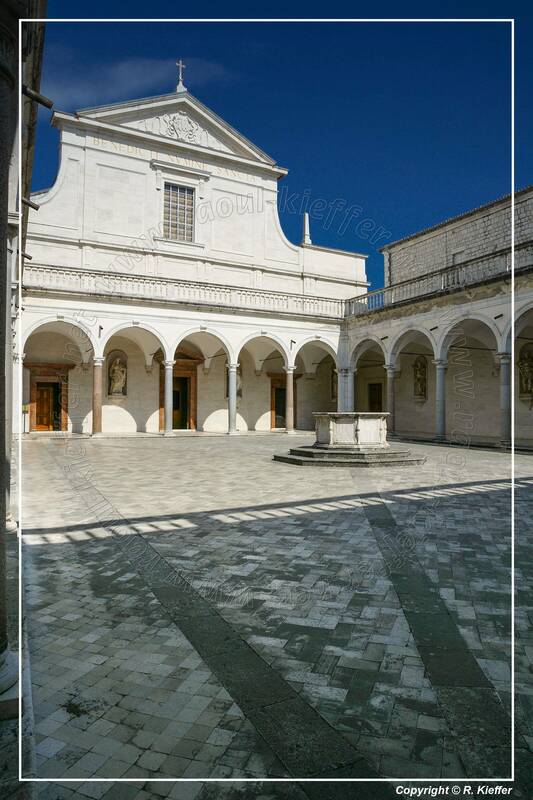 The Abbey of Montecassino located on a hill close to Cassino, was founded around 529 by St Benedict. Considered as an important centre of learning since the 8th century, it became in the 11th century one of the richest monastries in Europe. It was destroyed during World War II and rebuilt as it was in the 17th century.